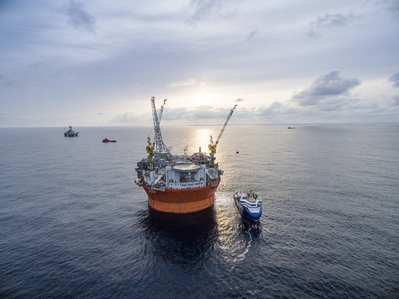 A new web-based tool is being used for the first time offshore for collecting, systematizing and presenting safety critical information on the Goliat platform in the Barents Sea. The system, developed by Eni Norge in cooperation with Safetec and SINTEF, measures and monitors more than 10,600 technical components in real time. The solution reflects several years of intensive work in the industry to develop better methods and systems for risk management. Since 2013, Eni Norway with design and engineering support from Safetec and SINTEF, and software development of Eigen Ltd, has developed a BSP-Barrier Status Panel (BSP) tool to provide better information about the status of major accident-critical barriers for use in daily priorities. The tool had its official launch just before the summer. Barriers are defined as planned measures that will regain control or reduce the development or consequences of major accidents. The barriers come in addition to inherent safety and control measures, which will prevent loss of control. "This is a phenomenal improvement over previous systems because it has dramatically increased our ability to understand which failures of safety-critical equipment that have the greatest impact on major accidents, which must therefore be prioritized," Fornes explained. The information can be aggregated in several different views, tailored to different user groups. Preliminary user experience and feedback are positive. The barrier status panel contributes to increased risk awareness, both in daily status meetings, and as decision support during work planning and approval. "The barrier panel presents the status of security systems in a new and innovative way, giving operators a better understanding of the risk picture of a device," said SINTEF's project manager Knut Øien. Safetec's project manager Ole Magnus Nyheim said, "Eni's barrier panel utilizes digital technology in an outstanding way, both to monitor the condition of individual components and platform overall."